Have you ever been asked a question that seemed to instantly take your mind’s focus to a point in your past that created an emotional response that made you take a step back. This request of me did just that. I was asked to be a part of an article in Miss Heard Magazine by Cassidy McMillan on Girl Bullying: Women Leaders Share Their Stories. I have to admit that it was hard to look back at my middle school and early high school years. I don’t think there are many people that want to relive those years. I remember I just wanted to blend in. I wore a back brace and braces. Being called crooked kid was not fun! I wore a sweat shirt or hoodie to hide my brace even when it was over 100 outside! I didn’t talk much so people wouldn’t notice my braces. I was a very quiet kid! I didn’t want to be noticed! I just wanted to be left alone. I was the invisible kid that sat in the back and didn’t bother anyone. It was a way to disappear. I was afraid if the spotlight were ever on me all my flaws would be seen. My condition stands out because it was based around a physical medical challenge that I was facing, and how my peers’ perspective of my condition created a subjective opinion of who I was in their minds and friendship groups they were part of. Resulting in how I was treated, and excluded or shunned because of the medical challenges I faced with my physical condition. How were you bullied in school by other girls? Did you ever report the bullying to anyone? If you didn’t report it, what kept you from reporting it? The first time I was bullied was in 1st grade. We had “read out loud in front of the class” day which I dreaded. The other kids were reading books at a higher level than me. When I got up and read mostly picture books the class would call me stupid saying I read “baby” books. I never forgot how that made me feel. I told my mom. From there, before each day it would be my turn to read out loud, my mom and I would practice a small book and I would literally memorize it so that I could “read” it in front of the class. My mom hired tutors for me to help my reading. After I was bullied, I got very quiet and tried not to bring any attention to myself, so people just sort of forgot about me in school. It was my way of disappearing. In high school I was diagnosed with scoliosis, and had braces on my teeth. I was frequently told I was ugly by boys and girls. I covered myself up with sweatshirts all the time, and in Phoenix that’s not a comfortable thing to do when it’s 100 outside! I didn’t report the bullying, but my family was my strength. My sister stuck up for me. If she ever heard anyone say anything about me, she was on it! She was a basketball star at the school and people respected her. Without her I’m sure my high school years would’ve been worse. When I was 15, during the summer, I underwent extensive corrective scoliosis surgery, and grew 2 inches in surgery as they straightened my spine. And my braces were removed. When I returned to high school the next year, no one had any idea who I was. And I was featured in a teen magazine that year for racing. It was only then that boys came up to me and said they had no idea how “hot” I was. But I had been the same person all along. The bullying wasn’t easy and I felt bad, but my family always believed in and supported me, and were the greatest support. How did being bullied by those girls affect you, and do you still have any of the effects to this day due to that? For the longest time I was quiet and never wanted to bring attention to myself. It was after my scoliosis surgery and getting my braces off that I started to feel better about myself. I took a public speaking class and that helped my confidence. To this day, I’m self-conscious about my reading. I also am one to support the underdog because I know what it’s like to be the underdog. How did you overcome the girls bullying you and how did you find your self-esteem and determination? My coping mechanism was blend in, be quiet and not bring attention to myself. Did it hurt, YES. I’m so lucky I had a great support system at home. I also had racing to make me feel better. On the track I could forget what was going on in school. I was there on my own, racing against the best. That’s where I found my self-esteem and determination. What advice would you give teen girls as far as how to communicate better and to not bully other girls? Be positive! I feel women don’t compliment each other enough! If you see someone wearing a color you like and they look great, tell them! If you see someone doing something nice for someone else, thank them. We need to focus on the positive and support each other as women. We all come in different colors, sizes and shapes. We are all truly beautiful in our own true way! Why is it important for girls to be supportive of other girls? Because we need to be! There’s too much negative in the world. There are expectations in magazines and on TV to be things that aren’t realistic. There’s no benefit to being mean or negative. We need to accept each other as we are! I feel it’s essential for women to support each other. Together we can change what the expectation of what beauty really is. If you could go back in time and talk to your younger self who was being bullied by the other girls, with the knowledge and accomplishments you have now, what sentence would you tell yourself? Trust me, it gets better! About: Cassie Gannis began car racing at the age of 10 in quarter midgets. She moved quickly through the early racing ranks Bandoleros (Arizona State Champion) and Legends (Rookie of the Year). She excelled in the NASCAR Whelen All American Late Model and Super Late Model Series. 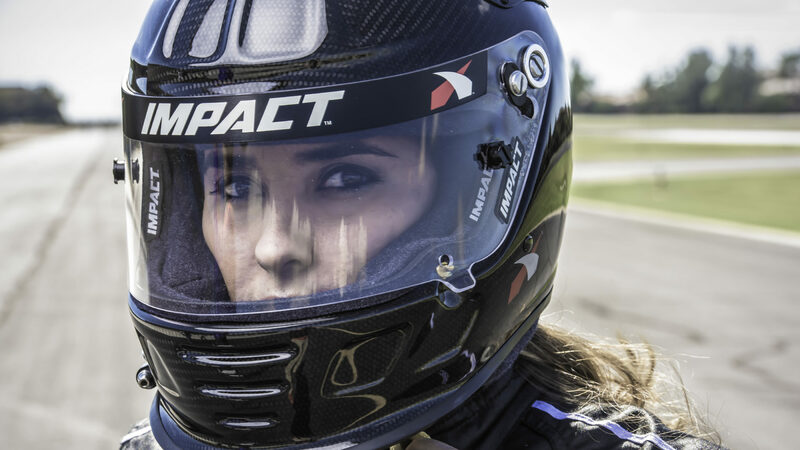 In 2012, she made her mark in the NASCAR K&N Pro Series as being the Most Popular Driver because of her fan reach. In 2013, she was chosen by Michael Waltrip and PEAK to attend the PEAK Stock Car Dream Challenge. She’s Lead Driver for Cassie Gannis Racing and is currently approved/ready to race at the competitive level with the very best in the ARCA, Camping World Truck and Xfinity Series. Cassie supports animal causes, her own ‘Don’t Text and Drive’ Program, and is a spokesperson for the medical condition Scoliosis. Find her on Twitter @CassieGannis. Getting through middle school and high school was not easy. Since the article it made me think what really was the big changing point for me? I believe the answer lies in when I got my scoliosis surgery, got my braces off and I took a public speaking class. Yes I took a public speaking class. Funny how in that class I was fortunate enough to meet the neatest, unique people. We were all these geeky nerdy smart kids. Together we all became great friends and confidants. I hope you read the stories of the other women in the fantastic article, you can find it HERE. According to the Centers for Disease Control, “Bullying among school age children is a major public health problem”. What I hope people take from this article is awareness and empowerment that you are not alone and it that it does get better. I was honored to be among such inspiring women as Cassidy, Kyra Phillips, Stacy Honowitz, and Jowharah Sanders. But the sad fact is, other girls bullied all these bright, smart, beautiful, remarkable women as well, and they all learned how to deal with it in different ways, making them stronger and more determined in life. What I hope people take from this article is awareness and empowerment that you are not alone and it that it does get better. Have you ever been bullied? PLEASE – Share your story below in the comment section, I would love to hear how you were able to deal with it or if it still today has an affect on you. Together if we lift up even one person we help Humanity Rise Again. Thank you for your response and interest in my blog. Look forward to more blogs coming in September.